Hi everybody! I’m Miriam Felton. I’ve been a knitwear designer for more than a decade, and in my time I’ve worked with MANY yarns. The infinite variety of fiber content, ply structure, and twist means that there is a yarn out there that is perfect for every project (or if not, you can spin it yourself). I recently started a podcast called YarnStories where every episode we talk to a producer of yarn or fiber, and then we talk to an expert about the sheep breed, the fiber properties, or the yarn structure. Between me and my experts on the podcast, we’ve had a lifetime of experience with fiber, but to save you the trial and error that we’ve gone through, here’s a little primer about the basic types of fiber and their properties. Fibers can be classified into three types; Protein Fibers, Cellulose Fibers, and Man Made Fibers. Protein fibers come from animals (insects included), cellulose fibers come from plants, and man made fibers usually come from petroleum products. Nylon gives strength to a blend, but too much can cut the natural fibers and leave you with a less-durable yarn. Nylon is super strong though, so a little will go a long way. With just 10-20% nylon in a blend you will hardly notice it, but it does wonders to make the yarn more durable. The most common of the cellulose fibers is cotton. Cotton has been spun and bred for thousands of years. 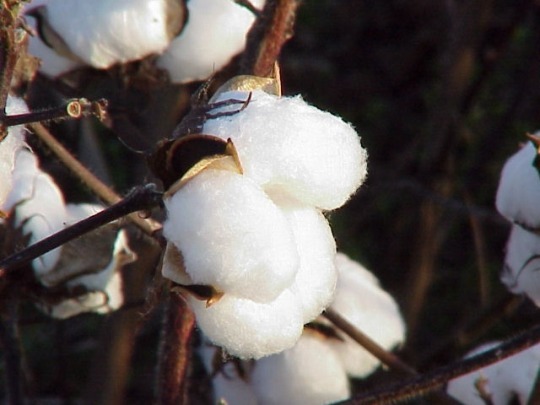 Cotton is the fluff that surrounds the seeds of the pod produced by the cotton plant, and over the years of cotton fabric production, cotton has been bred to produce whiter and whiter fluff. But did you know that cotton is naturally colored? There are browns and greens, and nearly red-oranges. Sally Fox (http://www.vreseis.com/) has been working for the last few decades to breed the natural color back into cotton. Cotton is curious as it’s stronger when it’s wet than when it’s dry. Cotton can be used for any number of projects with just a little planning. Cotton is HEAVY and has no bounce (also called memory). So if you’re going to knit a sweater out of it, you have to plan for the way the yarn will hang or else you’ll end up with a tunic or a dress instead. For any kind of garment where you want that drape and hang, it’s perfect. You can also mitigate the no-memory problem by working it in a stitch that is very structured. Linen comes from the flax plant (not the same flax plant that makes the seeds you find in all health foods, but related). Flax grass is beaten and soaked and broken down until just the bast fibers remain behind. It’s stronger than cotton, but less elastic. It’s not quite as heavy though, so you it makes wonderful sweaters and garments. Linen is one of my favorite fibers to find in a blend, since it lends a crisp hand to any other fibers it’s mixed with. Linen (in a blend or by itself) makes wonderful tees and tanks, or even shawls. Bamboo fiber can be made in a couple of different ways, the crispier version is made like linen, taking the bamboo grass and breaking it down until the bast fibers are all that’s left. The other way is more similar to Rayon. Where the bamboo serves as the wood pulp which is processed and extruded. The linen-like bamboo is a great substitute for linen and behaves in the same way, while the extruded bamboo is more like Rayon, lending a drape and a silky hand to the finished fabric. 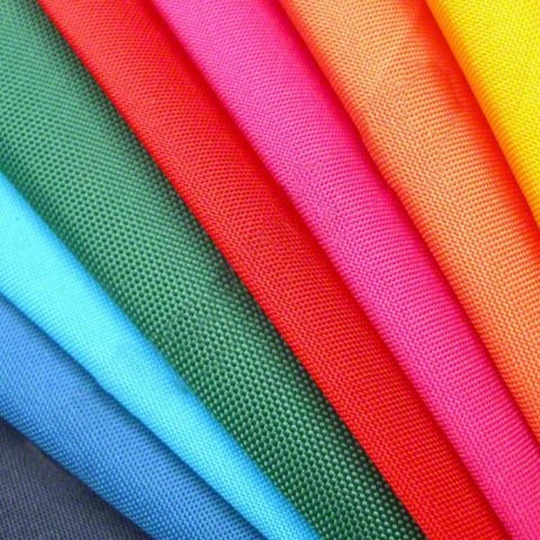 Rayon (aka Viscose, Lyocell, or Modal) is a hybrid of a cellulose and man made fiber. It’s made initially from wood pulp, cotton, or other plant material, but the cellulose is broken down and then forced through a spinneret to make fiber. So while it initially comes from a plant, the extrusion process is what makes it into a man-made fiber. That’s it for Part 1 of Fast Fiber Facts! Check out Part 2 (coming soon) for info on Protein fibers like wool, camel, alpaca, and more! If you’d like to learn more about the yarns you love before they reach your hands, please do check out YarnStories Podcast, or subscribe in your podcatcher of choice. You can check out Miriam Felton’s patterns on Ravelry, and her tutorials on her site and on YouTube.